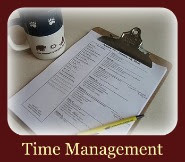 OLD HOUSE HOMESTEAD: Need Time Management Help?? Order a copy of Amy Lynn's "Tell Your Time" downloadable book. Today until 6:00 it's only $5!!! Go to the link in the side bar of the blog under my profile-- it looks like button below. Enter code: YayForLaunch.